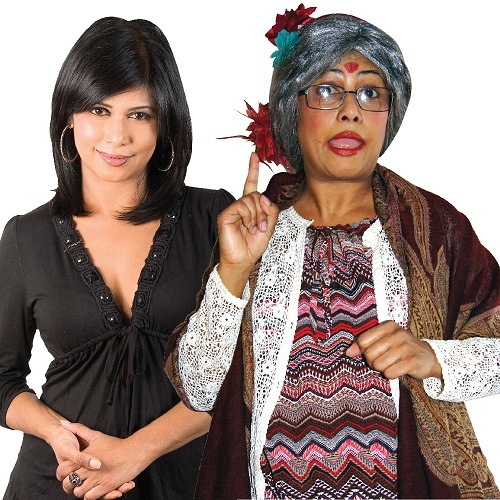 After sell out shows in December 2017, Durban’s ever popular, Aunty Rumba, the alter ego of TV personality and actress Jailoshini Naidoo, returns to Sibaya Casino and Entertainment Kingdom for an encore of her outrageous stage comedy show, Aunty Rumba Goes Bollywood. In Aunty Rumba Goes Bollywood, everyone’s favourite aunty is on a hilarious and stir-crazy mission to meet her Bollywood hero, superstar, Rajnikanth. Audiences can brace for side-splitting comedy with Aunty Rumba and her sidekicks. Along for the ride in Aunty Rumba Goes Bollywood are nosy neighbour Aasiya, uncle`s brother Bully who has a roving eye and many other colourful characters. Adding to the audiovisual feast is dancing diva Leona Dean and her dazzling dancers who will bring Bollywood to life on stage in Durban. Aunty Rumba Goes Bollywood runs at the iZulu Theatre, Sibaya, from February 23 to 25, 2018. Shows on Friday and Saturday start at 20h00 and on Sunday, the show is at 15h00. Tickets R150 booked at Computicket, Shoprite/Checkers or Sibaya Box Office.